August 30, 2008 In News What is Michelle doing now? August 08 Feature on Michelle Chaplow in Xpat Mgazine. 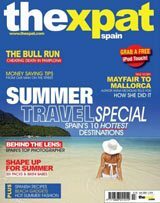 The Xpat is the world’s leading magazine on life in Spain. It is a vibrant, entertaining and informative read that celebrates the most wonderful country in Europe. The Expat magazine is created by a team of enthusiastic expats based in Spain. 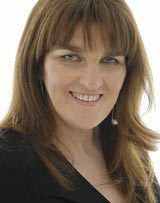 In their summer issue Xpat have produced an article on Michelle entitled. An exclusive interview with Spain’s top photographer”. Michelle gives her views on the best and worst things about Spain, her career highlights and forthcoming projects. Pdf’s of the feature can be downloaded here. 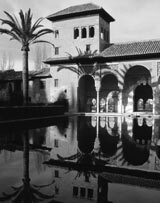 August 08 New book Andalucia: A Cultural History (Landscapes of the Imagination). Written by John Gill, Illustrated by Michelle Chaplow. 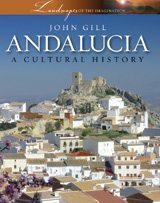 For Gill, Andalucia is the sum of its cultures a “garden at the foot of Europe and a crossroads between Spain, Africa and the New World”. This illustrated introduction to the “real Andalucia” will surprise and captivate you as a whole world around you comes alive with voices of the past and present describing the sum of their whole in the unison of one book. For those living in Andalucia, this book will be available from September, from Bookworld España. The book can also be purchased online from Amazon. August 08 Telegraph Travel feature. Three images from Michelle’s stock collection have been published in the Telegraph, edition Saturday 23rd of August 2008. The feature recommends the most beautiful beaches along the Atlantic coastline of Andalucia. Images from El Rompido in Huelva, Tarifa and Bolonia in Cadiz were published to illustrate the feature” Pick of the Playas” by travel journalist Annie Bennett. The Costa de la Luz or the Coast of the light is renowned for its golden sands and beautiful beaches.